The information presented on this page was originally released on February 24, 2015. It may not be outdated, but please search our site for more current information. If you plan to quote or reference this information in a publication, please check with the Extension specialist or author before proceeding. RAYMOND, Miss. 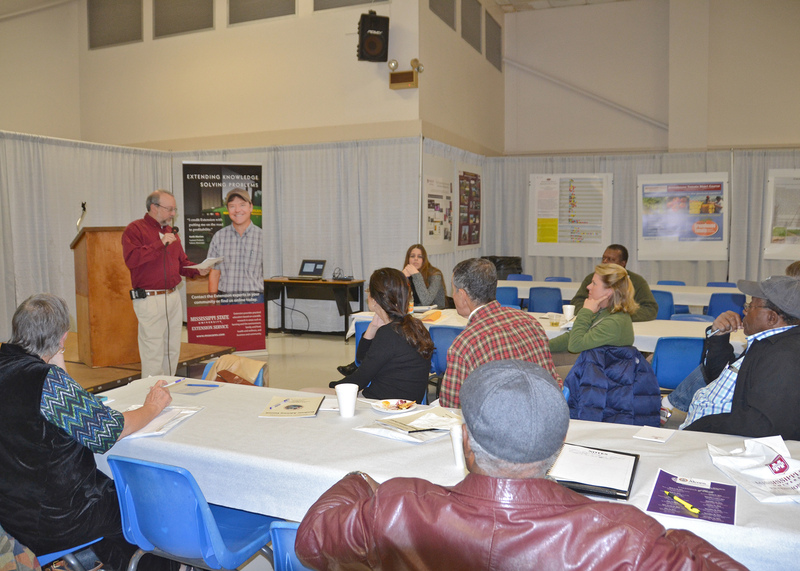 -- Central Mississippi agriculture producers and industry professionals met with Mississippi State University experts Feb. 17 to provide guidance for 2015 educational programming and research. More than 120 participants attended the annual Central Mississippi Producer Advisory Council meeting in Raymond to discuss priorities and ideas with the MSU Extension Service and Mississippi Agricultural and Forestry Experiment Station specialists, researchers and agents. 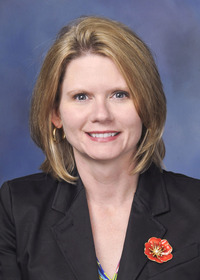 “We appreciate your participation today and welcome your feedback throughout the year,” said Sherry Surrette, head of the Frank T. (Butch) Withers Jr. Central Mississippi Research and Extension Center. The meeting is held in conjunction with Alcorn State University’s Extension Program and Hinds Community College. The nine commodity groups represented were ag crops; beekeeping; dairy; ornamentals; vegetables; small ruminants and swine; forestry and wildlife; fruits and nuts; and beef, forages and equine. Mississippi’s farmers and ranchers produced a farm-gate value of almost $8 billion during 2014, which is evidence of a strong agricultural economic engine, said Bill Herndon, associate vice president for the MSU Division of Agriculture, Forestry and Veterinary Medicine. Farm-gate value is the value of food and fiber commodities produced in the state. This producer input drives the support provided by the Extension Service, MAFES and its partners, said Gary Jackson, Extension director. “Because of the producers and people who support us in research and Extension roles, we’ve been able to add and strengthen our network of specialists and county agents to serve you better,” Jackson said. The vegetable group asked for more education on control options for wildlife and improving vegetable quality for farmer’s market and roadside vendors. They also would like more specialty crop variety trials, more favorable options for irrigation assistance and more networking opportunities. Ag crops producers requested more education and research on sugarcane aphids, wildlife damage, and sustainable and precision agriculture. They also encouraged producers to help recruit companies to participate in MSU variety trials. Another need this group identified is new technology to combat herbicide-resistant weeds. Beekeepers requested guidelines for good and bad plants for bees, continued funding and research on varroa mites and small hive beetles. The group would also like to stir interest in youth and work with farmers, home gardeners and horticulturists to reduce the harm from herbicides, pesticides and fungicides to the bee population. The beef, forages and equine group asked for instruction on the new antibiotic regulations for livestock and deworming schedules. They also asked for research focused on forage types and varieties. Dairy producers requested expanded information on forage production and use. They want increased consumer and youth industry education. They also want a standardized procedure for more efficient testing of milk samples. Forestry and wildlife commodity members said they want MSU to develop an improved contact list for educational outreach. They asked for more educational programming on hardwood reforestation, expanding regional pine markets, and mid-rotational forest management for wildlife. They also expressed a need for a certified training program focused on sustainable production. Fruit and nut growers want in-season updates, a handbook for specialty crops best practices, development of integrated small farm demonstration sites across the state and education on alternative and futuristic farming systems. The ornamentals group asked for research and Extension materials on growing houseplants and interior landscapes, such as living walls. Small ruminant and swine producers requested more research and information on parasite control, markets, and mobile shelters and shelter disinfection.